Our team will guide you on the path to your custom AI Software. From the business requirements gathering stage through user training and maintenance of the ready solution. 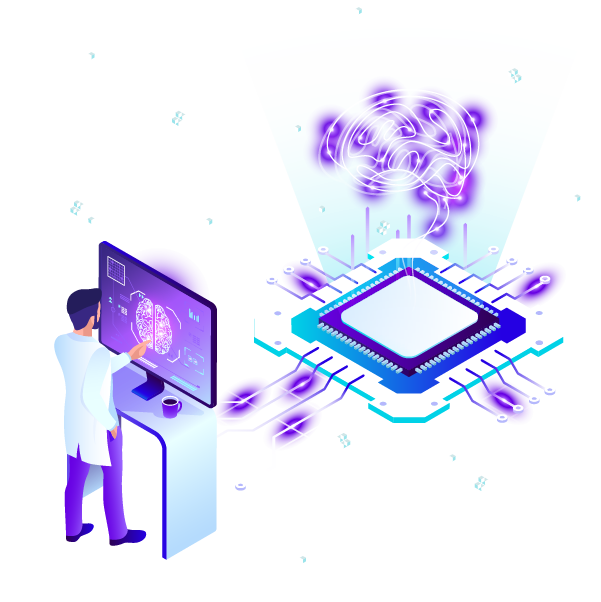 We thoroughly analyze your requirements to help you develop an optimal AI strategy. Understanding challenges and opportunities that your organization face, we will advise on the most efficient implementation of AI-powered software for you. A data scientist is only as good as the data they have access to. Most companies store their data in a variety of formats across databases and text files. This is where data engineers come in - they build pipelines that transform that data into formats that data scientists can use. Be it a first-of-a-kind commercial enterprise solution, a startup idea, or a proprietary LOB application, our engineers enable businesses to create solutions as efficiently and effictively as possible from scratch, with you being the sole owner of the source-code and IPs. Successful AI initiatives require the adoption of new technologies, processes, and governance models. Optimize infrastructure management by embracing intelligent automation of I&O and free up skilled IT resources from low-value, repetitive tasks. We conduct training sessions for your teams to ensure that they have all necessary knowledge about the AI software they will be working with and the skills to operate it.